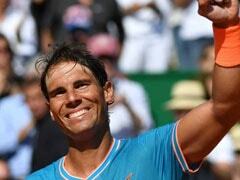 Rafael Nadal was in ominous form as he continued his quest for an 18th Grand Slam. 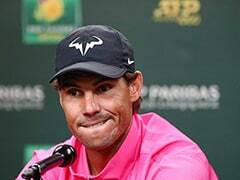 Rafael Nadal declared "everything is a step forward" after brutally brushing aside Alex de Minaur at the Australian Open on Friday in just the Spaniard's third match since the US Open. 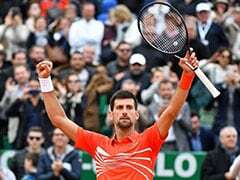 The world number two was in ominous form as he continued his quest for an 18th Grand Slam by punishing the Australian teenager in a third-round tennis masterclass 6-1, 6-2, 6-4. "In general terms, everything is a step forward. So that's positive news for me," said the man who won at Melbourne Park back in 2009. "I'm very happy for the victory against someone who had won seven matches in a row, winning a tournament." 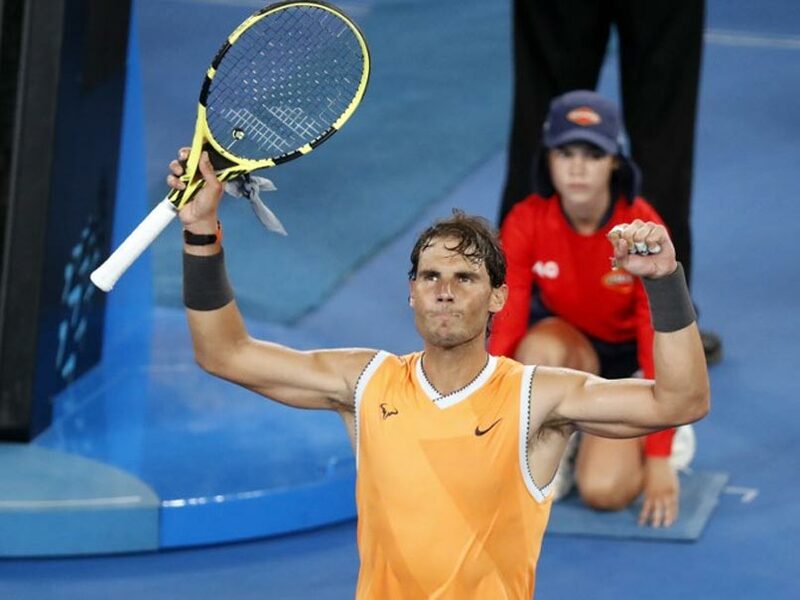 Nadal ruthlessly dragged the 19-year-old Australian 27th seed -- who won last week's Sydney International -- over every inch of Rod Laver Arena as he romped to victory in two hours and 22 minutes. The Spaniard limped out of last year's Australian Open at the quarter-final stage and ended his 2018 season after retiring in similar fashion from the US Open in September. He then had surgery on a foot injury and doubts remained when he pulled out of his Brisbane warm-up with a thigh niggle. But his fitness levels have grown with every outing in Melbourne and he was back to his barnstorming best as he hardly allowed his young rival a sniff. "I felt more dynamic with my movements tonight -- every day a little bit better, in my opinion," Nadal said. 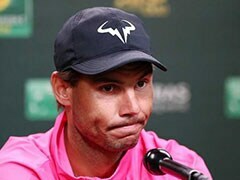 At fleeting moments he even had a glimmer of hope of applying the brakes to the runaway Nadal juggernaut when he held a rare break point in each of the first two sets. And at the end he dug deep to save six match points -- one after chasing down ball after ball in a lung-bursting 24-shot rally. "He is a big fighter. Probably he is the fastest on the tour," Nadal said after the match. "That match point saved was unbelievable. Always is a dangerous match." De Minaur was constantly pressured and pummelled on serve by a brutal Nadal. The first game of the second set ran to nine deuces and 18 minutes at which point the relentless Nadal secured it on his fifth break point. De Minaur, who has Spanish heritage, thought he did better in his second outing at a Slam against the man he dubs "the king", even though the scoreline was identical to his defeat at the same stage of Wimbledon last year. "I felt like definitely games were a lot longer," said De Minaur, who has a Spanish mother and Urugayan father. "But, geez, he served well. Going through the whole (first) set, serving, I think it was 80 percent first serves. That's pretty scary. There were decent-paced first serves as well." Nadal moves on inexorably and will face unseeded Czech former world number four Tomas Berdych for a place in the quarter-finals. "I want to congratulate Alex for a great start to the season," said Nadal. I think he has an amazing future."